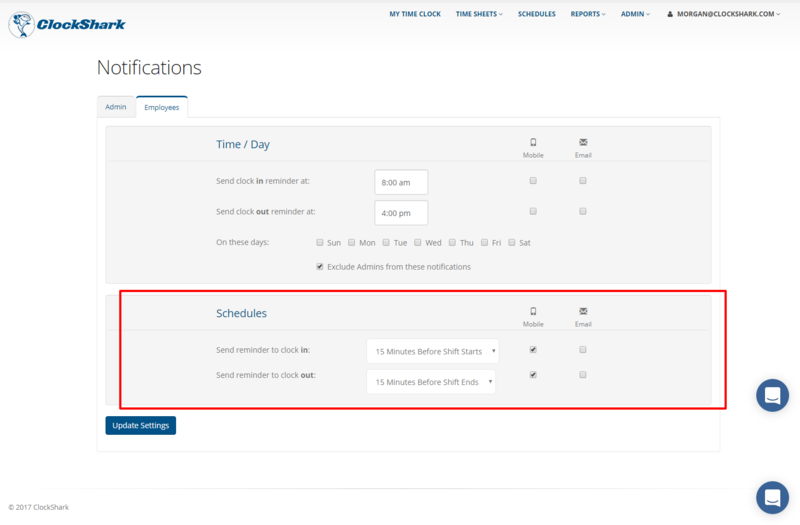 When scheduling an employee in ClockShark via the Scheduler, you can set a "clock in reminder" to go to the employee via email or mobile push notification. This feature helps employees remember to clock in on time. You can choose to notify employees to clock in/out at specific times of day, or at a set period of time before their shift starts. Have an idea? Submit your feature requests and vote on others!